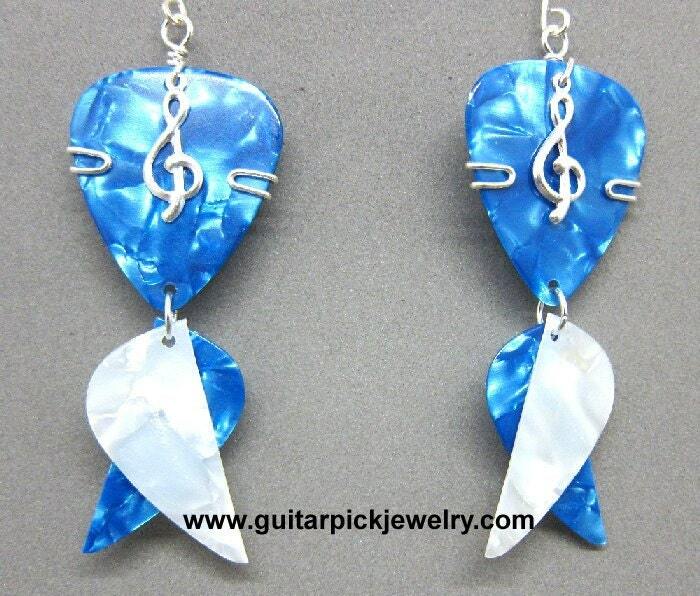 These blue and white guitar pick earrings are great for any music lover. The top of the earrings are medium gauge blue guitar picks with a silver treble clef charm. The bottom of the earrings are blue and white guitar picks to dangle. The earrings hang about 3 inches and are extremely light weight. They will not weigh down your ears. All of our earring wires are made out of sterling silver.